Exactly 4 weeks ago, my new single “Pop Army” came out in the UK. It charted for 2 weeks on UK’s Music Week Commercial Pop Club Chart Top 30, entering the chart at #17 and then climbing up at #13! 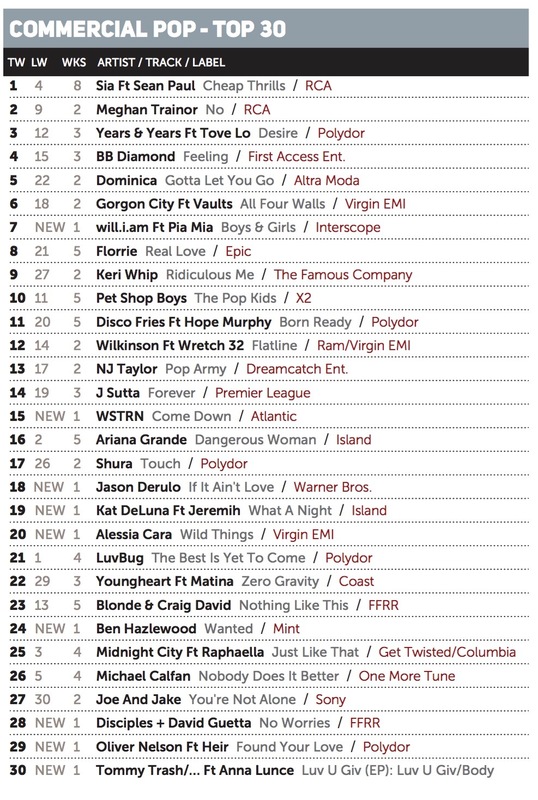 It was so amazing to see my name charting next to superstars and artists I really love like Ariana Grande, Sia, Meghan Trainor, Alessia Cara and many more. This is by far my greatest accomplishment. 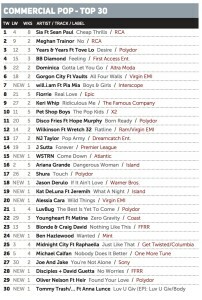 I remember when I first found out I was charting, I was so happy that I was almost crying! Thank you from the bottom of my heart to all of you who have been supporting me and this single “Pop Army”; the fans, all the DJs and the radio stations that supported my release and played and are still playing “Pop Army” (so many to mention but you know who you are). Thank you to my entire team in the UK for believing in me and my single, and for having pushed “Pop Army”, this wouldn’t have been possible without you: Jo Hart from Hart Media, Catherine Hockley from Fifth Element, Matt Waterhouse and for the amazing remix by DJ Cutmore, and Tracey Webb from Power Promotions. I am so very grateful!!!!! It was my goal for “Pop Army” to chart and I’ve achieved exactly what I wanted. The sky’s the limit, dream big!